NYS Comptroller Thomas DiNapoli to be Keynote Speaker. Suffolk County, NY - June 19, 2018 - Suffolk County Executive Steve Bellone today announced the first of its kind Procurement Conference on Long Island that will bring together leading experts in the field to share best practices on how county and local governments should procure goods and services. The conference, which will feature a keynote address by New York State Comptroller Thomas DiNapoli, will be held on July 24, 8:00 AM – 2:00 PM at Timber Point Golf Course in Great River. "When municipalities purchase goods and services, they have an obligation to taxpayers to seek competition and get the best value for their communities," New York State Comptroller Thomas P. DiNapoli said. "I commend Suffolk County Executive Bellone for bringing together state and local officials to discuss ways to share services and create efficiencies in the process, while ensuring that municipalities are transparent in their procurement process and safeguard public funds." The Suffolk Share: Inter-Municipal Procurement Conference will address the people, processes, and technology associated with the procurement of goods and services. Panels will be focused on procurement challenges and roadblocks, procurement innovation and trends, and cooperative purchasing, featuring highly qualified panelists from independent government agencies, think tanks, academia, state and local government, and the private sector. The goal of the conference is to encourage a conversation about best practices for municipal purchasing, foster a more cooperative municipal purchasing environment, and address people, processes, and technology associated with procurement of goods and services. Procurement officials from Suffolk County’s 10 towns, 33 villages, and 69 school districts will be in attendance, as well as public sector budget and IT specialists and thought leaders from the Government Finance Officers Association (GFOA), Rockefeller Institute of Government, New York State Association of Counties, Hofstra University, and New York State Office of General Services (OGS). The process of reforming Suffolk County’s procurement system includes responsibly reorganizing the procurement team, streamlining regulations, simplifying the payment process and upgrading outdated technologies. The reformed system will focus on smart government and best practices in the public sector, with the ultimate goal of the new procurement model being to save taxpayer dollars. The conference supports Suffolk County Executive Bellone’s Shared Services Initiative. The SuffolkSHARE plan, devised under Governor Cuomo’s Shared Services Initiative, is projected to save Suffolk County and participating local governments approximately $37 million over the next two years. Under County Executive Bellone’s leadership, Suffolk County has become a statewide leader in the field of shared services, gaining recognition for its innovation and cost-saving efforts in transitioning inter-municipal partnerships into a modern and comprehensive government reform mechanism. Long Island Election Results Guide: Who's on the Ballot and Who Won? 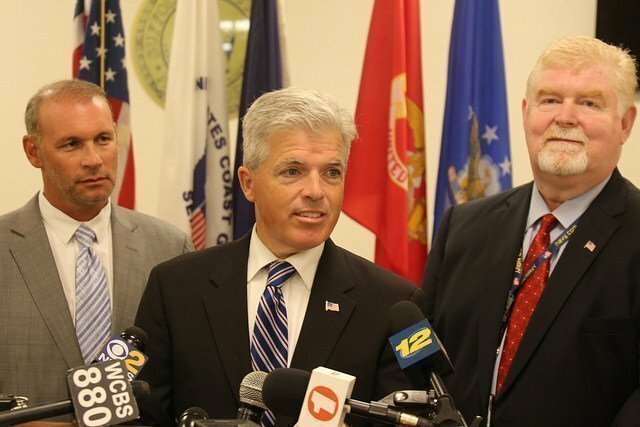 Subject: LongIsland.com - Your Name sent you Article details of "Suffolk County Executive Bellone Announces First-ever Procurement Conference On Long Island"